It’s great to see How Design University recognizing how effective WordPress is to run your site- but, what they do in 28 days, we do in one, plus we teach you all the ins and outs of how to optimize your site and content to get you to the top of Google. You likely know it as a blogging platform, but WordPress has evolved into a full content management system and has been embraced by developers and designers all over the world. Building your website on WordPress can be simple and quick, or it can push the limits of your creativity through thousands of plugins, themes and widgets available for use with the system. Join Jesse Friedman on a journey to create your first WordPress site. In just 28 days, you’ll learn about server requirements and hosting, customization, resources available inside and outside of the WordPress community, functionality—and at the end you’ll have a site of your own. via 28 Days to Your First WordPress Site | HOW Design University. 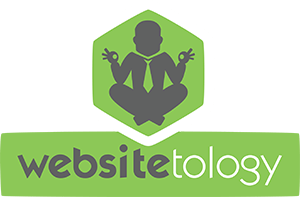 We’ve been teaching Websitetology since Nov of 2005- and have graduated over 1000 brilliant websitetologists who are using WordPress today. We realize we’re not an online course, but, we’ll gladly come to your town to teach any group of 10 or more. We’ll be hosting our next Websitetology Seminar in Dayton Ohio on TuesdayÂ Nov 16, 2010. In one day you can learn how easy it is to be able to maintain a website yourself, and get to the top of Google by just spending an hour or two a week updating your website. It’s not only much more fun than cold calling- you can literally do this naked- and not get arrested or laughed at. We’ll teach you how Google works, how the web works, and how to manage a site without having to learn HTML, PHP, XML or any other code. We’ve helped hundreds of companies get their message out cost effectively through our seminar. Sign up now, http://www.websitetology.com/?page_id=625, and reserve your seat today. $139 covers the full day. We cover the most important sites in Social Media- Twitter, Linkedin Facebook – and how you should integrate with them. We explain how Google Places is infinitely more important than a yellow pages ad, and how Foursquare can make your business a community gathering spot. You’ll understand how YouTube videos can help any business- and how easy it is to make them and include them in your site. And for something entirely different, this Seminar will be held at The Sidebar in the Oregon District, 410 E. Fifth Street Dayton OH 45402and will include lunch! It’s possible to have hundreds of people visiting your site every day- without spending thousands of dollars. Come to the Websitetology seminar and learn all the tricks to make it happen. The Pope says Blog- we teach you how. Priests are thus challenged to proclaim the Gospel by employing the latest generation of audiovisual resources (images, videos, animated features, blogs, websites) which, alongside traditional means, can open up broad new vistas for dialogue, evangelization and catechesis. via Message for the 44th World Communications Day, Benedict XVI. And with that message from the big guy- and from the future- we proudly present our next Websitetology Seminar on Feb 16, 2010. To make it even more interesting- I’ll extend the discount of $99 for the day to any members of the Clergy in attendance. Sign up ASAP because, well, the big guy is watching you. And don’t worry, this seminar is also great for anyone that needs a website that works- that they can self-manage and self-update.